Show Mum just how much you really care this Mother’s Day, and take her out for the afternoon to enjoy delicious homemade cakes and the finest selection of teas. 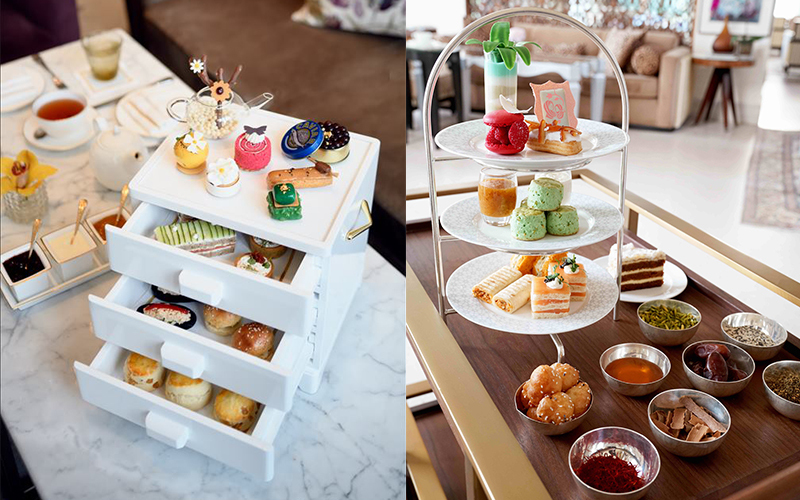 Guests can spend their afternoons in exquisite style with the Art Crafted Afternoon Tea at Address Boulevard. Western tradition meets modernism at The Lounge, a haven away from hustle and bustle, a perfect locale for an afternoon tête-à-tête. The splendid afternoon tea will offer four indulgent layers of sweet and savoury delights such as edible plastic-wrapped candy, mini burrata and chocolate caviar. The exquisite chest of drawers set atop your table promises to surprise and delight in every decadent bite. For more Mother’s Day foodie deals, check out this article.